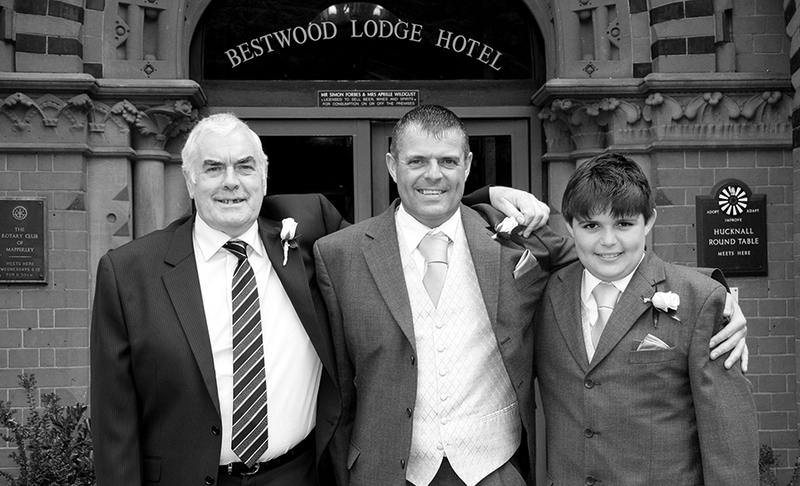 Bestwood Lodge Hotel can cater for weddings and civil partnerships both large and small. Located within the tranquil environs of Bestwood Country Park, yet only several miles away from Nottingham city centre, it is perfectly situated for you and your guests. This Victorian manor house is bursting with character and some of its features are distinctly Gothic. Such a curious melange always allows me with an exciting range of opportunities for the photo shoot on wedding days. Licensed to hold civil ceremonies and with a range of suites and functions rooms to suit your size and style of wedding or civil partnership. The lodge can host a small part of your celebration or the whole celebration right up until you leave for your honeymoon. around the dramatic entrance area. The elegantly oak panelled bar area and beautifully maintained function suites make my job as a wedding photographer a real pleasure. Whether its a mid-summer wedding or a festive marriage, there are a whole multitude of incredible back drops to explore and utilise both inside and outside the stunning Bestwood Lodge. The hotel grounds and gardens give a stunning backdrop for any wedding or civil partnership with lovely seated areas where you and your guest can enjoy drinks and canapés. The Gothic chapel and exquisite Victorian gardens are two of my most favourite features around this unique Nottinghamshire location. I have acquired many fond memories whilst photographing at weddings around Bestwood over the years.